Welcome to the Seattle Bliss online store. 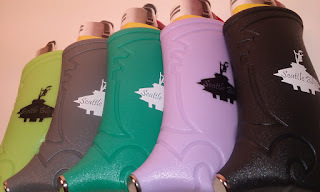 Here you can purchase some of the merchandise seen on the program and in Seattle Bliss articles. Your purchases support all FREE consulting services at Seattle Bliss. Thank you. TOURS ARE NEAR THE BOTTOM OF THIS PAGE. Items below are available for purchase through Amazon.com. As an Amazon affiliate, Seattle Bliss earns a portion of sales when you click through our links. This 30X Loupe has a built-in LED light that makes it easy to visualize trichomes. It doesn't hurt that it's a great price, either. Jeff keeps one in his evaluation kit; you can too! 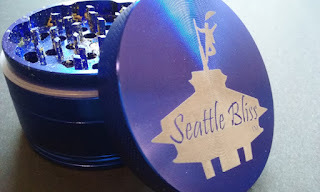 The 2019 Seattle Bliss herb grinder and Seattle Bliss Toker Poker will be available to all subscribers soon. (About 4 hours) The 'Baked After Hours' Tour will visit a Seattle Bliss-recommended cannabis shop, then Jeff Cole, will demonstrate how to make chocolates. 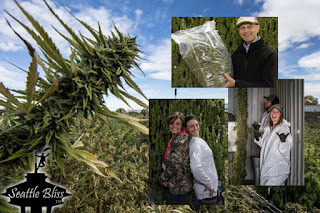 Each individual on the tour is responsible for the purchase of their own cannabis products while in the cannabis shop. No worries - participants will have a purchase guide for their own individual desired preparation. The tour spends the next 2 hours making your own chocolates with products purchased from the shop. Food will be provided by a supporting local sponsor. All finished and everyone thoroughly baked by 9 pm, the tour bus will return to each guest's hotel. FREE for Supporting Members; $149 for others. Supporting Membership is only $120/yr. This event may be video recorded for a Seattle Bliss program. Guests appearing on camera will receive a gift for their participation. Call 206-471-4367 to reserve your seat before 2 pm on the day of your Seattle Bliss (TM) tour. Cash and cards gladly accepted. (3 hours; see calendar below) $149; 2 pers min. FREE for Supporting Members! On the "Sights and Delights" tour, Seattle Bliss takes you on an elevated drive around Seattle. The usual tour visits a glass shop, makes stops at several standard stops and seasonal attractions around town, and includes a shopping trip to 3 very different Seattle cannabis retailers. *Note*- November 27th, the Sights and Delights tour becomes the "Seattle Rocks!" tour. Visit the EMP museum in the morning or evening with discounts from Seattle Bliss; the bus departs at noon from the EMP. We'll grab lunch and a toke on the way out to see Chris Cornell's inspiration for "Soundgarden". Then we'll see some Rock & Roll memorials on Capitol Hill, swing by Kurt Cobain's house and stop into the pot shop that sits where his dealer probably lived. Finally, we'll drive down and burn one at the Jimi Hendrix Memorial. We'll have discounted tickets to a live concert, so be ready to rock. Tours always include a stop at at-least one state-licensed Cannabis retailer, instruction if needed, and smoking / vaporizing permitted on the party bus. Tour does NOT include the purchase of your cannabis. [40 minutes of the Sights and Delights tour; 2 to 3 hours if Farm Tour Only (FTO*) see below] $149; 2 pers min. FREE for Supporting Members! 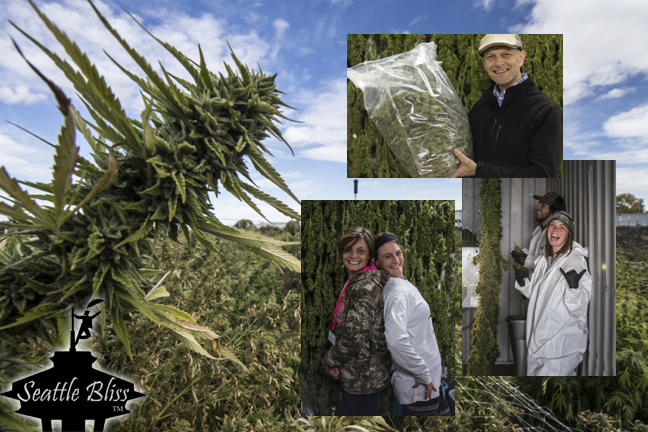 Spend your morning or afternoon learning how a Seattle grower operates. Bring your camera and be ready for a good time as some of our hosts are very entertaining. After the farm tour, Seattle awaits! 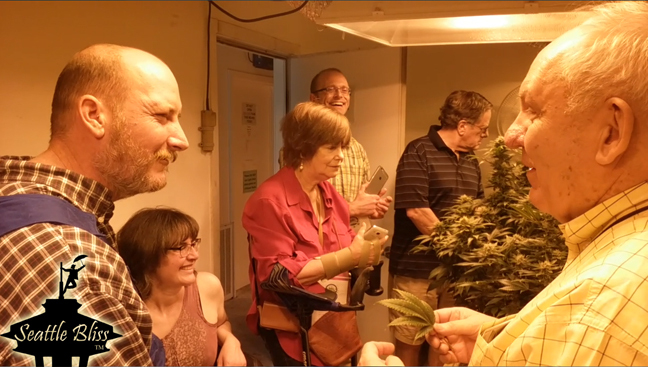 *FTO option is an in-depth, educational tour for medical patients and individuals interested in cannabis horticulture. Potential at-home growers may benefit the most from this tour as our hosts will share closely-held techniques for home success - from seeds and clones to curing and storage. You can zoom in so close you just might smell the flowers! (12 hours round-trip; 8 am - 8 pm) $200; 2 pers min. FREE for Supporting Members! Outdoor cannabis is a beautiful thing. The best time to visit is in late September through October and into November, so that is when this trip is offered. The 2018 season is over, but it's not too early to book your 2019 tour. Seven tours are scheduled Fridays from September 20, through November 1, 2019 only. Includes transportation to and from the farm and hours of conversation/consultation with Jeff and other experts on the farm. Groups, book all 18 seats on the party bus for the price of 12!